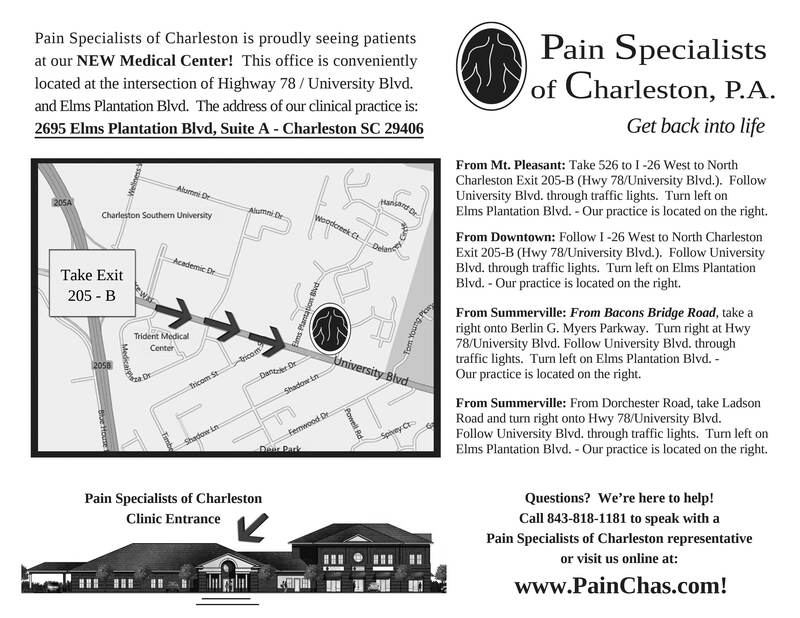 Thank you for choosing Pain Specialists of Charleston, P.A. Our goal is to provide top quality care to our patients in a compassionate and professional environment. We do our best to stay on time with our schedule and give you our undivided attention. If your account becomes past due, no appointments or prescription refills will be given to you until your account has been cleared by the Billing Office.